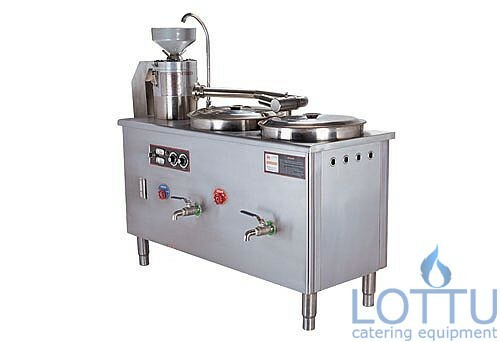 ◇The Soybean Milk and Bean Curd Machine is made of stainless steel. ◇The machine is integrated with grinding and boiling functions. It heats by electricity and boils by steam. The heating control system is designed with high automation. ◇These soybean processing machines are widely used for producing soybean milk, bean flower, bean curd slurry and bean curd. ◇They are the best choice for bean curd workshops and medium-sized or small-sized mess hall.